Onboard power supplies, 10-18V input. 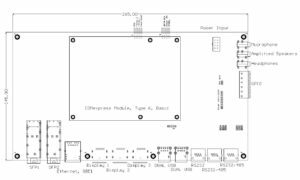 2 port high speed Serial UART, RS232/485 etc. Expansion port for customised applications with PCIexpress. Dual mSATA interface with SATA III 6GB/s transfer rate.